Xeno is a lead magnet—thanks to targeted messages, conversational marketing, and impeccable communication. 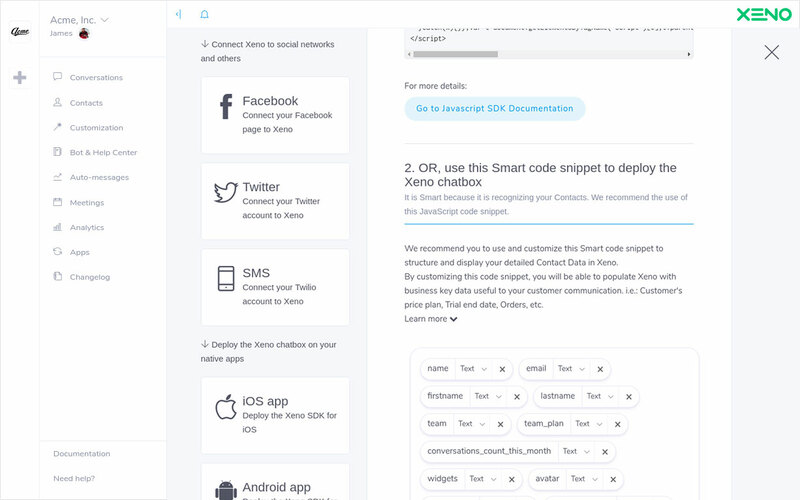 From the same place: Xeno, communicate across all customer channels (shared email addresses, websites, Facebook, Twitter, iOS, Android, etc.). Once your knowledge base contains entries, give your contacts the joy of a dedicated https self-service help center! 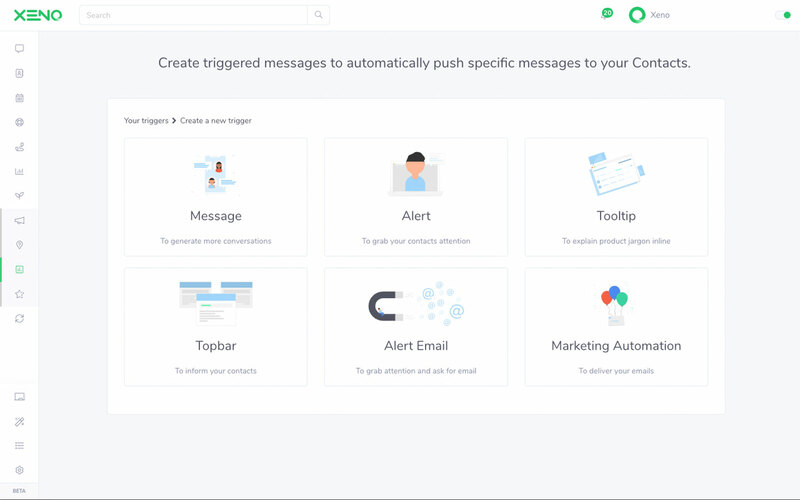 Configure pre-written auto-messages to reach online visitors according to defined triggers. Pre-write and automate chats, topbars, tooltips, pop-ups and emails. 98% of our users are satisfied. What about you? Features through which leads turn into customers. Features keeping customer satisfaction through the roof.